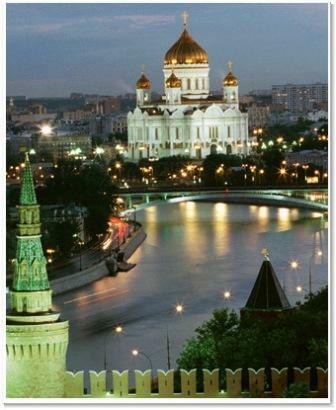 Russia is a country with centuries-old history, rich culture, and marvelous nature. The Russian Federation is divided into 83 federal subjects, two of which are federal cities. Moscow, the capital of Russia, and St. Petersburg, the former capital. Also if you plan on visiting Russia, don’t forget to visit the cities of the Golden Ring: Pereslavl-Zalessky, Rostov, Yaroslavl, Kostroma, Suzdal, Vladimir, Sergiyev Posad, Yuryev. Moscow (English pronunciation: /ˈmɒskaʊ/ or /ˈmɒskoʊ/; Russian: Москва́, tr. Moskva, IPA: [mɐˈskva] ; see also other names) is the capital, the most populous city, and the most populous federal subject of Russia. The city is a major political, economic, cultural, scientific, religious, financial, educational, and transportation centre of Russia and the world. A global city, Moscow is the most populous city on the continent of Europe and the seventh largest city proper in the world. Its population, as of 1 January 2010, is 10,563,038. Over time, Moscow has acquired a number of epithets, most referring to its size and preeminent status within the nation: The Third Rome (Третий Рим), Whitestone (Белокаменная), The First Throne (Первопрестольная), The Forty Forties (Сорок Сороков). St. Petersburg is justly considered one of the most beautiful cities in the world and the most European of all Russian cities. Built by Peter the Great as ‘the window to Europe’ it has always been more Europe-oriented than any other Russian city, whether you take its weather, architecture, or lifestyles. Once made the capital of Russian Empire by Peter the Great St. Petersburg is still rivaling Moscow: it is often referred to as ‘the Northern Capital’ or the ‘Cultural Capital’ of Russia. St. Petersburg seems to be enveloped in some poetic veil of enchantment; the city of white nights and drawbridges, splendid sights and museums, variety of elegant architectural styles of all epochs and grim close backyards, contradictory history and unpredictable weather, it attracts people from all over the world with its cultural gorgeousness. If you are lucky to find yourself in St. Petersburg you face quite a hard choice between all the places of interests: only museums amount to 170 in number here. The Rostov city is located on the shore of Lake Nero, 53 km away from Yaroslavl, and 202 km away from Moscow, on line М8 "Kholmogory" Moscow — Arkhangelsk. The city has railway and bus terminals operating. The city of Volgograd was founded in 1589 and served as a fortress guarding the trade route along the Volga river. 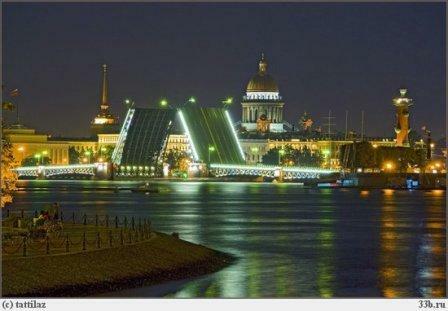 The city on the Volga River has changed its name several times through history. In 1925 the city’s name Tsaritsyn (formed from the Russian word – Tsar) was replaced by a more updated and Soviet one – Stalingrad (formed from the name of Stalin). When the cult of Stalin’s personality also passed into oblivation, the city was renamed into Volgograd that means "a town on the River Volga". However, the city became a hero-city when it was bearing the name of Stalingrad. During World War II the city turned into the stage of hot battles that were amongst the crucial battles for the victory of allied over the Nazi. By 1945 Stalingrad had been practically leveled and was among the first Russian towns reconstructed in the first post-war years. Nowadays nothing reminds that this beautiful modern city once was a site of post-war ruins and only several museums and monuments remind of those painful events of the past and commemorate the memory of those who sacrificed their lives for the peace and contributed in the victory over the Nazi. Now Volgograd is one of the largest Russian cities with a population of over 1 million people. One of the city`s most famous museums is the Stalingrad Museum with a panorama (one of the largest panoramas in Russia) which depicts a scene from the infamous battle. Beside the Stalingrad museum in Volgograd there stands a red brick building full of bullet holes. It is supposed to be the only remaining building from the former post-war Stalingrad. Yakov Fedotovich Pavlov is credited with holding this building against the Nazis for an amazing length of time, and against all odds. The most famous sightseeing site of the city is Mamayov Kurgan which is a huge War memorial complex dedicated to the warriors that lost their lives in the battle for Stalingrad. If you bother to take the plane from any Moscow airport to the city of Sochi, you will definitely never regret about it. This town is rather small, though one of the longest settlements in the world – it is stretched along the Black sea coast for about 150 km. Sochi is unique for its astonishing nature and spa facilities – few places on our planet can boast to have both the seaside and the mountains (the Caucasus – famous mountain system – is as little as sixty km away from the sea). Sochi is Russian New Zealand, except that it is not an island and not thousands km away from the Old World and there are no dangerous man-eating sharks in the sea and poisonous shakes and… ok, Sochi is much better than New Zealand. Humid subtropical zone forms perfect climate – hot and sunny summers for suntan lovers and mild winters for mad-for-mountain-skiing ones. Water in the Black sea is known to have chemical composition almost similar to human blood – you can even drink it if you want to know how blood tastes (just kidding). However, you won’t have to close your eyes while swimming and diving, the water won’t make them sore as Mediterranean seawater surely would. The famous Russian ski resort Krasnaya Polyana is situated near Sochi – come there for downhill and snowboarding, heli-ski and freeride – this place is paradise for winter vacations. The town of Sochi is located near one of the largest Russia’s reserve parks. Its suburbs are a treasury of rare plant and animal species. You can find ancient gnarled yews and boxtrees, which are as old as eight hundred years or even more. Of course they are not sequoias, but their long mossy branches look fascinating – it’s like traveling in time to the age of dinosaurs and other strange creatures. Vladivostok, the capital of the Primorsky Kray (Primorye or Maritime Territory) is one of the most beautiful cities in Russia. Home base to the Russian Pacific Fleet, the city was closed to all foreigners from 1958 until 1991. Modern Vladivostok is looking to develop rapidly as Russia’s money-making, fast-spending, high-living commercial and financial center. Businesses from all over the world have flooded in to take advantage of the city's position as a crossroads of Northeast Asia. As one of only four major seaports, with extensive fishing rights, it also has tremendous potential for economic growth. Vladivostok is Russia's window to Asia, as it is located less than 100km east of the Chinese border, and just across the Sea of Japan from the main Japanese island of Honshu. Vladivostok's unique geographical location is of great interest to developers of international and domestic trade. Vladivostok is now one of the most important regional centers in Russia. The city receives visitors from all over the world, hoping to find here unforgettable impressions and new business partners. At the beginning of the century Samara had a huge number of churches, cathedrals and monasteries, as Samara has always been one of the biggest religious centers. Since 1851 Samara became the main town of the Samara Eparchy. Nikolayevskiy convent and Iverskiy nunnery were erected in the 19th century in Samara. There are 700 tombs and graves of rich and famous people of Samara buried in the nunnery's cemetery. Both monasteries were destroyed during the Civil War 1918 - 1924. The cathedral housing 3 thousand people was built between 1866 and 1894 on the Cathedral Square and was destroyed in 1935. Russian emperor Alexander the II took part in the building of the cathedral when he visited Samara in 1869. Now both convents are under reconstruction. Apart from Orthodox Christian churches Samara has also a number of religious establishments belonging to other confessions. Catholic Polish temple was built in 1906 and now is the building of the museum of regional studies. German Lutheran church that was built during 1865 - 1875 is now a working one. The diversity of religious establishments no doubt results from rich ethnical composition of the Samara region.